Another week closer to Brexit, and still no real idea of what deal, if any, might be agreed, especially after the Prime Minister’s latest engagements with the EU. So, we continue with my series of blogs looking at the approaches of other EU regulators towards UK payment/e-money institutions applying to them for authorisation as part of their Brexit strategy, and take a look at Lithuania. 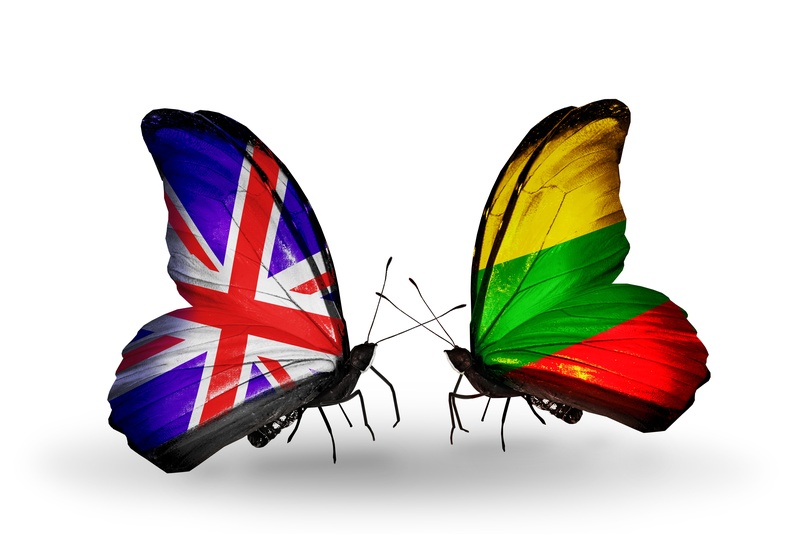 Whilst conversations often centre around more local jurisdictions, Lithuania has nevertheless often been cited as a pragmatic regulator with an appetite to welcome UK firms looking for a second ‘home’. Having shared a speaking platform with Marius Jurgilas (Board Member at the Bank of Lithuania) previously, comparing the different approaches to PSD2 re-authorisation in the UK and Lithuania, I reached out to him in the hope that he could share some insights into the Bank’s likely approach to UK firms. As ever, I am most grateful he was able to spare some time in his busy schedule to discuss some of the key considerations for UK firms wishing to look to Lithuania as a post-Brexit solution, from which to exercise passporting rights into the rest of Europe. With the permission of the Bank, I am pleased to be able to summarise the key points of our discussion, again in the form of a Q&A that you will now be familiar with! A: The payments market has increased enormously in recent years. In Lithuania, the number of licenced payment or e-money institutions more than doubled to 90 in two years. And still dozens of licence applications are in the pipeline. It seems that Fintech companies are attracted both by the forward-looking attitude of the regulator and a well-developed market infrastructure. The central bank operates the payment system CENTROlink which grants access to SEPA payments. And the best part of it is that CENTROlink is open to licenced non-banking sector companies, i.e. e-money institutions and payment institutions. A: Having just gone through the re-authorisation process in the UK, we would expect the application process to be easier, as firms will undoubtedly leverage off forms and documents provided to the FCA, and given everyone in Europe is working to the same EBA Guidelines. That said, all documentation will need to reflect the fact that this is an application for a Lithuanian entity. Whilst the process may be substantively the same, there will inevitably be additional questions that we will likely need to ask, particular to the Lithuanian firm. Given that firms will have to set up a new legal entity, does the Bank have a ‘minimum requirement’ in terms of staffing levels in the new Lithuanian office? A: The requirement is no different to that applied by the FCA. The directive (PSD2) is quite clear that the head office needs to be in the home Member State, which Lithuania will be for this new entity. We will take a pragmatic, risk-based approach to assessing what is likely to work for each individual firm. If corporate governance arrangements appear to be lacking, we will ask for additional appointments to be made. As a minimum though, we would expect the Chief Compliance Officer to be on the ground, and available to speak to us. We absolutely would not condone an ‘empty-shell’ arrangement, or where 99% of services were being backed out to the UK. A: As I said, it should be the same, given we are following the same Guidelines and assessing against the same conditions of authorisation! Each application is, as you would expect, dealt with on a case-by-case basis, where we look to see firstly if the business model is familiar or innovative, whether the applicant firm already has a global (or otherwise known) brand or presence, or is a start-up with no track record. Whatever, we will do everything possible to expedite the application, so long as the firm is co-operative, transparent and forthcoming. A: As hinted at earlier, we will look at each firm’s outsourcing proposals on a case-by-case basis, but would not expect everything simply to be done in the UK. Safeguarding has been a particular problem for UK firms with many banks reluctant to open segregated accounts for this sector. Is there similar difficulty in Lithuania? A: Yes. Although the situation seems to be easing up, it could not be described as ‘easy’. We do though have the advantage – Members of Bank of Lithuania CENTROlink payment systems are able to open additional accounts- also safeguarding accounts .More details can be found at https://www.lb.lt/en/centrolink We have yet to see an insurance product in Lithuania, but would certainly be open to it! A: If the application is straightforward, we would expect the majority of such cases to be processed within 3 months of receipt of full package. Sometimes this will take longer if it is a complicated case. We have a dedicated team at the ‘front-end’ of the process, with a single point of contact for firms – via the Newcomer programme https://www.lb.lt/en/newcomer-programme. Applications are then assessed using specialist expertise from within the Bank e.g Operational Risk, Conduct etc in a ‘matrix management’ arrangement but then consolidated into a final report. A: We would strongly encourage a pre-application meeting via the Newcomer programme https://www.lb.lt/en/newcomer-programme. We gain good insights from meeting the people who will be involved ‘on the ground’, and it is also an opportunity to give guidance/feedback on their proposed business and structure, and what areas might need improvement before the application is submitted. This can also be an iterative process, rather than a one-time opportunity. A: Yes, the fees both for the application and the ongoing supervision are specified in Lithuanian law. The application fee for payment institution licence is 898 EUR, for e-money licence - 1463 EUR, and supervision fees are up to 3000 EUR for both types of institutions. This is considerably lower than in other EU countries. The FSA/FCA did not allow payment institutions to hold funds on a payment account without a completed payment order, resulting in many firms seeking an e-money licence. What is the Bank’s view on such businesses? A: Whether or not a firm is issuing e-money will be assessed and determined on a case-by-case basis. In this scenario we would consider precisely what is a ‘reasonable’ length of time proposed for the funds to be held on the account. We would also consider any likely impact on the customer. A: We would tend to follow the common approach prevalent in Europe, that these are accepted when used for a payment. Again, we would review every proposal on a case-by-case basis. I very much got the sense that the Bank of Lithuania is worth serious consideration as a new ‘home’ jurisdiction. Whilst the usual criteria for selection will need to be applied – language, proximity, reputation etc – and a decision based on your needs, it is clear that Lithuania wants to establish itself firmly as a home to innovative payments industry. To find out more about the options available, and what might best suit your needs, please look out for our Brexit workshop in London on 10 October. Or, if you cannot wait – and time is running out - please do contact us at fscom for support in compiling your ‘Brexit application’, whatever the jurisdiction; expertise that adds value.